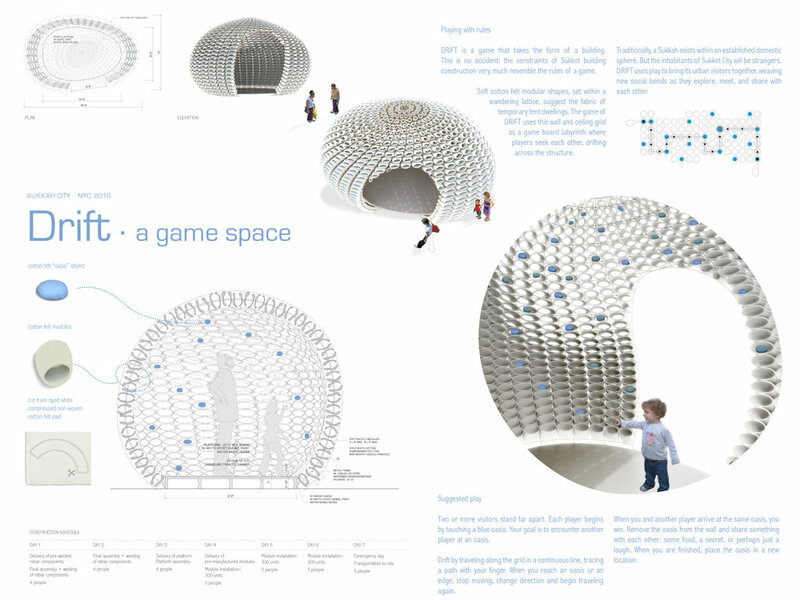 Drift was an entry for Sukkah City, a New York City competition for a temporary installation. The tube-like felt elements of Drift were containers for Oasis - soft blue movable orbs. To play Drift, start at an Oasis and begin tracing a path on the wall to another player in a straight line, changing direction when you hit an edge or another Oasis. When your path intersects another player, exchange something with them - an object, a secret, a greeting.